"Well, if there’s a bright center to the universe, you’re on the planet that it’s farthest from." There's an unintentional irony to Luke's claim that Tatooine was the planet farthest from the "bright center" of the Star Wars galaxy. Yes, Tatooine was a remote, Outer Rim desert planet, and Luke knew precious little of its history or the legacy that he would help establish for the planet as a home to some of the Galactic Civil War's most important encounters. But even before Luke—and those watching him from the audience—would realize the full sweep of Tatooine's place within the larger Star Wars saga, we realized one thing: the planet was wild, dangerous, strange, and thrilling. Tatooine was a place where anything could happen. Tusken Raiders could ambush you. You could meet a hermetic Jedi Master. You could get into a deadly brawl in a seedy cantina. The Galactic Civil War wasn't won on Tatooine, but the planet's legacy runs deep through the Star Wars saga through its influence on many of the Galactic Civil War's most notable figures—Darth Vader, Luke Skywalker, Obi-Wan Kenobi, Han Solo, and Jabba the Hutt. Similarly, the battles from the 2018 May World Championships side events won't find their way into the history books, but they will influence your experience of the larger event. 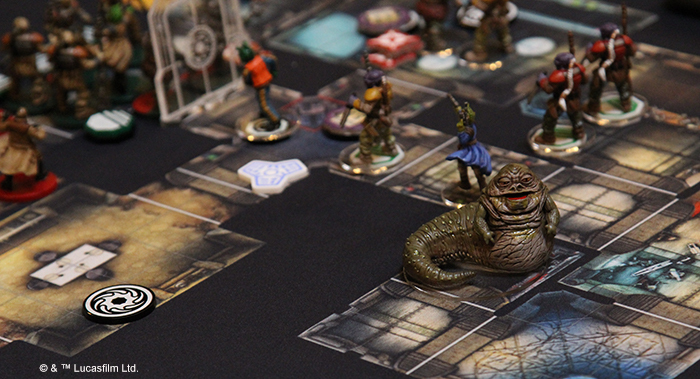 After all, the 2018 May World Championships are more than a chance to play your favorite Star Wars games at the very highest level; they're a five-day celebration of the Star Wars galaxy's greatest tabletop gaming! Accordingly, there's something for everyone at these side events. Every game is accompanied by at least one side event that's free to enter, and World Championship attendees are encouraged to play in these events—even for the games that they may only play casually. The side events schedule has already been posted and is available below. Also available now are the event descriptions, which provide the information you need in order to prepare an event-legal deck, army, squad, or fleet. These descriptions will present you a better idea of what you might expect from the different formats—such as the X-Wing Team Epic event or the Imperial Assault 4 Player event. In addition to the free events that you'll find for each of the games, the 2018 May World Championships will feature an ongoing series of "On Demand" events for X-Wing and Star Wars: Destiny. 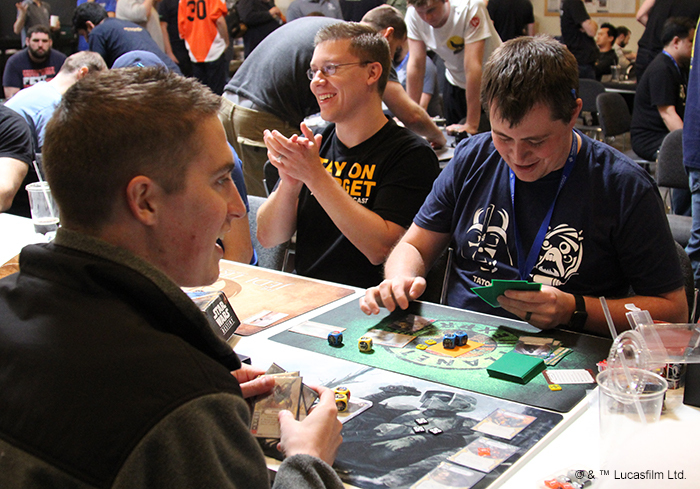 You'll find Hangar Bay Events for X-Wing on Friday and Saturday, and fans of Star Wars: Destiny can find On Demand pods running Wednesday through Saturday. 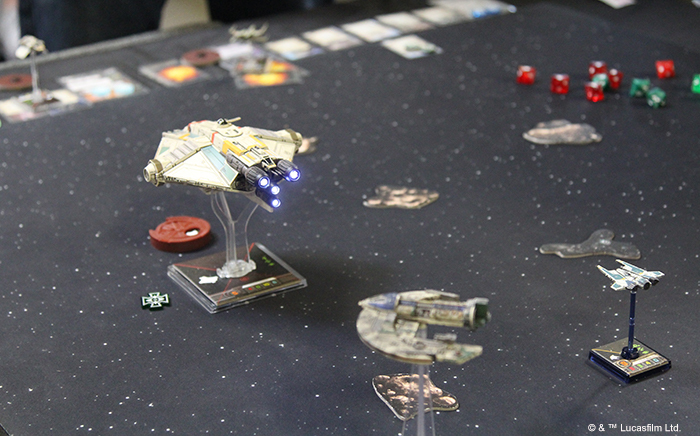 Whether you use these events as an excuse to test new decks, fly a squadron of four T-65 X-wings, or put your Rivals Draft Set to good use, they all offer you a chance to enjoy the challenges presented by new formats. After all, you can choose a Destiny pod for the Standard or Trilogy constructed formats, or enter the Draft or Sealed events. Likewise, the Hangar Bay Event comes with its own unique restrictions. 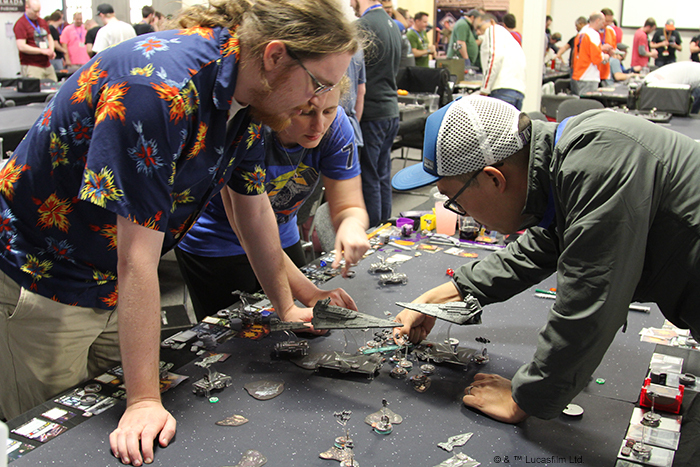 As with the Hangar Bay Events taking place at this year's System Open Series events, you'll have the option to bring two squad lists to the table, and then you'll have the chance to look at your opponent's lists before you choose which of yours to play. And as in the System Open Series, the squads for these Hangar Bay Events must use the "skilled rule," which states that the printed pilot skill values of your pilots must differ from list to list. Of course, what makes the Hangar Bay Event really special—and the alternate Star Wars: Destiny formats—is that the alternate format doesn't just encourage new list-building; it leads to a wholly different play experience. You'll fly pilots that you might otherwise miss. You'll draft supports that roll damage, but play more slowly than your games of Star Wars: Destiny usually do. Even in the constructed Trilogy events, you might find yourself inclined to make more use of the newer mechanics—plots and indirect damage—than you normally would. And when you participate in these side events, the result is that your experience at the 2018 May World Championships is more rounded and energizing than if you were to come and focus entirely on the top-level challenges of the World Championship tournaments. Certainly, those battles will hold the spotlight. Everyone's coming for the top-level competition. But when you go home, you'll bring more energy back to your local playgroup—and you'll be more fully inspired to start dabbling in new tactics—if you've already shared in the laughs and smiles and crazy experimental tactics from the year's side events. When you're planning your visit to the 2018 May World Championships, be sure to explore the entire event. Review our Main Event schedule, Side Event schedule, and tournament details. Think about what might appeal to you, and be sure to mark your calendar so that you don't miss any of our application and registration deadlines! March 26 — 11:59 PM CST. Application closes for reserved seats. March 29 — Invitations sent to reserved seat holders who applied after February 20th. Access codes sent to general registration applicants for games with remaining seats. March 31 — NOON CST. General applicants may redeem their invitations on a first-come, first-serve basis. April 10 — NOON CST. Any remaning tickets are made available to the public. Note: World Championship side events are available only to registered World Championship attendees.